On the Southern Pacific Coast of Costa Rica, Portasol is an ecological community which is nestled about 30 km south of Quepos and 20 km north of Dominical. 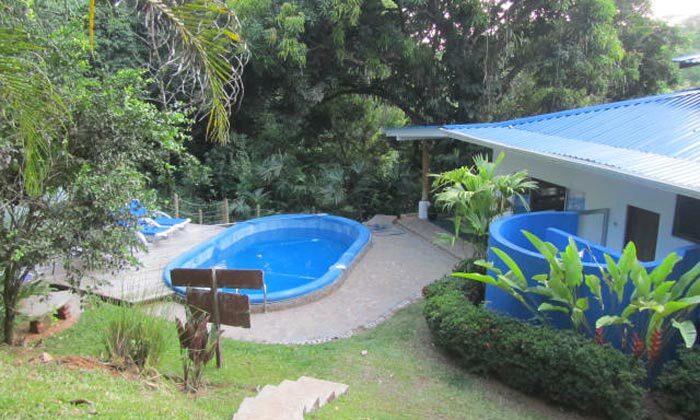 People who want to escape from daily busy life and want to spend some time close to the nature, they can chose a retreat offered by this ecological retreat center. Guillermo Piedra and his family established this retreat center for and their mission is to protect the natural beauty of Costa Rica and they are working for protecting 440 ha of primary and secondary forest. While staying at this center you will enjoy different types of health related program such as yoga retreat, meditation, Qi Gong or Chi Kung (an ancient Chinese health care technique that includes physical postures, martial arts, breathing techniques and meditation). 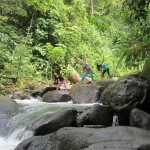 You will also enjoy bathing in the waterfall pool and feel refreshed. 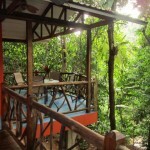 This center is surrounded by deep forest and that’s why you will breathe fresh air and will feel the inner harmony and the interconnection with nature. While you will walk along the effervescent river, it will help you to gain a peaceful state of mind and feel energetic and rejuvenated. 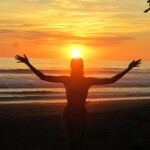 Portasol is an ideal place for enjoying Yoga and meditation retreat. This ecological retreat center offers a 7 day Yoga retreat which will help the guests to escape away from the daily busy life and to discover own inner self. In morning session it offers 30 min of Qi Gong, 1 hour of yoga class, and 30 minutes of meditation based class. Each week you will enjoy an event (three times) that includes healing meditation, relaxation, dance, chakra and it depends on what the guests asked for. You can also enjoy massage and guided walk. If anyone wants to enjoy yoga, massage or coaching and lunch personally, they will have to pay additional fee. 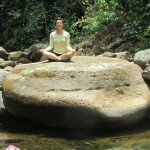 Doris Müller-Weith is an experienced instructor who is also developed various massage techniques such as Reflexology, Classic massage, sound massage, Shin Jin do, Lomi lomi, and Hot Volcanic Stones. She attained a lot of experience in bio-energetic and respiratory therapy and many other body therapies, both in practical and theoretical nature. 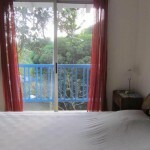 In this center there is bungalow including big room with personal bath, king size bed, kitchenette and terrace. There is duplex including room with bath separated. 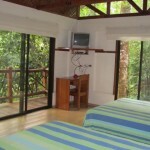 If you want to enjoy a personal retreat you can rent this wooden house is located in the jungle and has all the amenities you will need for comfort. There is an open living room where you can enjoy a gentle breeze. 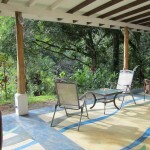 From the house there is a private path leads to the Portalon River where you will find a natural pool. You can enjoy a cool bath there. 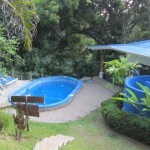 You can visit the park Cazuela which is only 10 minutes away from the house. There is also a beautiful waterfall with a pool where you can spend some time to get relaxed, enjoy swimming, sunbath on the warm stones. It is recommended to register at least three weeks before the seminar starts.